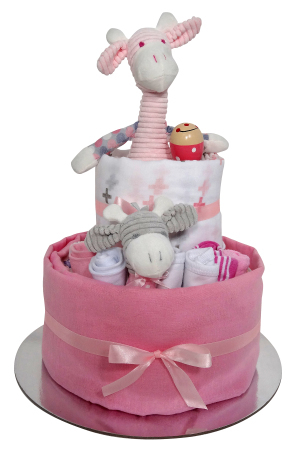 Giraffe Cake- A nappy cake filled with all the essentials for a new baby. The perfect and adorable gift for anyone celebrating a new baby. These nappy cakes are filled with all the essentials and more!